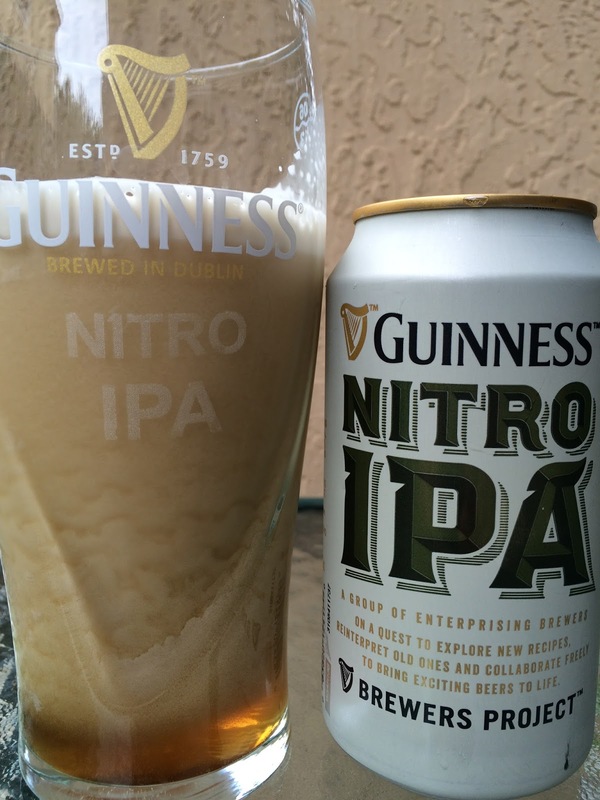 Remember when Guinness launched their Nitro IPA a month or so ago here in Miami? Well, I saw a BOGO promotion at Publix last week, so decided to check it out from the widget can. Nitro IPA is a creation of Guinness's Brewers Project, where their brewers can pretty much experiment any way they want on a journey to develop new and exciting beers and concepts. This beer, created by Brewer Luis Ortega, is infused with Nitrogen and brewed with Admiral, Celeia, Topaz, Challenger and Cascade hops. 5.8% alcohol. 44 IBU. Nice cascading pour, as expected. Aroma is malt forward, full of caramel and toast. Very malty flavors as well, again with caramel, toast and a hint of herbal character. 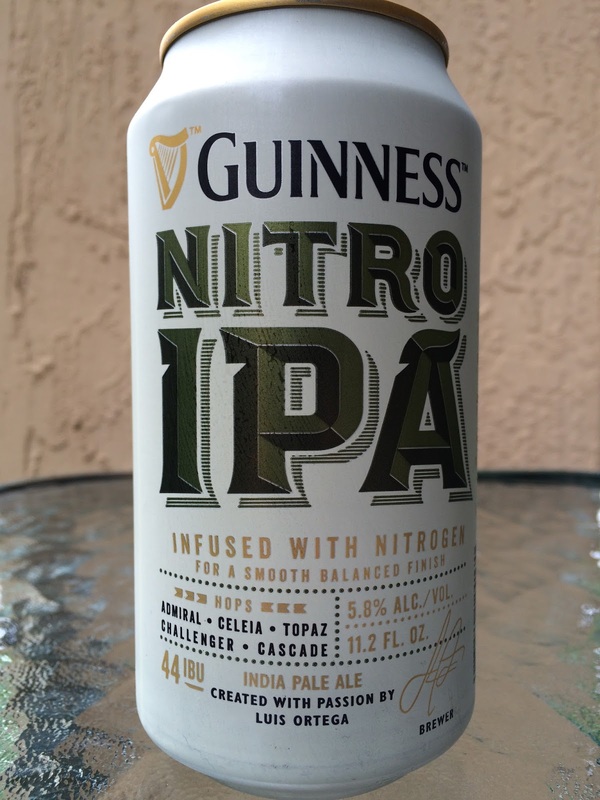 Hops are pretty muted, perhaps just a faint fruity flavor and spiciness. Very creamy though tastes flat. Thin body and bordering on boring. 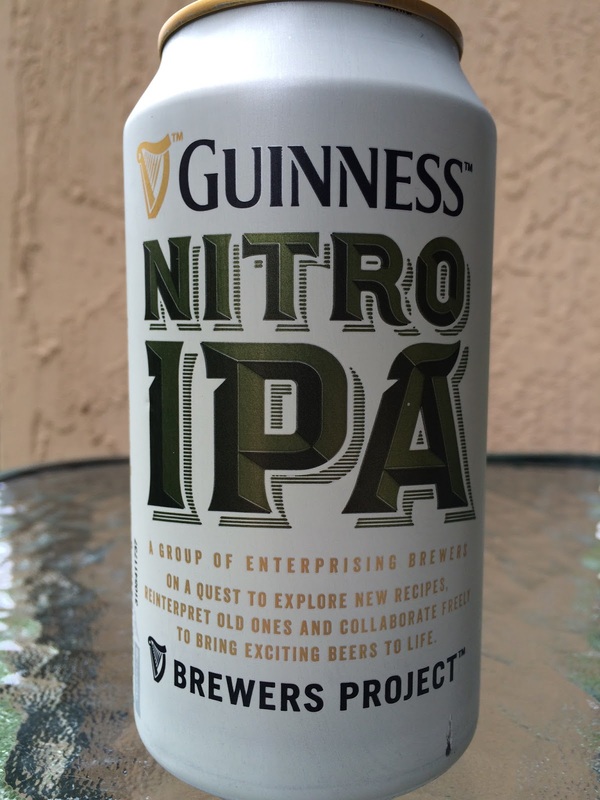 Also not very IPA like, not even for an English IPA. 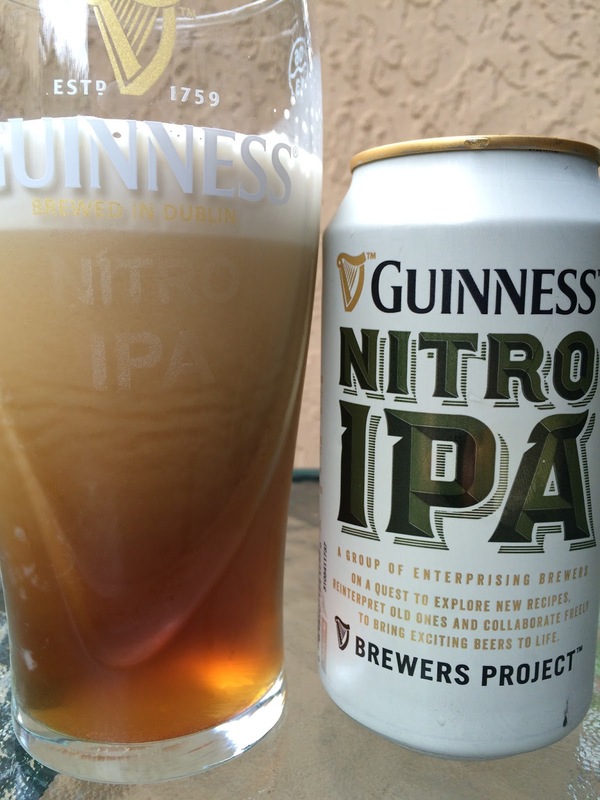 The Nitro IPA beers I had on draft a month ago tasted better. This wasn't very enjoyable. I did manage to pawn a few of the remaining beers on my cousin-in-law on her way home to Colombia. Not sure what will happen with the rest though.